Do you remember at the beginning of May when Just Survive was talking about “working on a plan to go forward”? I understand if you don’t: It almost seems as if Daybreak itself has forgotten about the game, so how can it expect players to remember. Well, with H1Z1 doing so well on the PlayStation 4, maybe — just maybe — the game that actually birthed the battle royale version (that it lost its name to) will get some love. We can dream! And while we dream, we can also help the studio out with its plan-making endeavors. And boy, do I think it needs some help! As it is, the next promised patch sound like little more than maintenance mode and doesn’t really dispel the rumor that the game is on the sunset path. In order to survive, Just Survive needs to step up and offer a bit more than that. So here are eight ways Daybreak can give this survival game a fighting chance. Along with private servers is the need for decent server management tools. Just Survive has a decent foundation to build upon, and sandbox players want a sandbox build-it-my-way experience. Players really want to be able to adjust settings to meet their own gaming needs. Daybreak would have more customers if said customers could play the game they want. Having two maps and a few settings is nice, but there is room for improvement here. How about the changing the density of zombies? Or changing how tough they are? Messing with the day/night cycle is also a good one. Being able to personalize the experience makes one much more invested and likely to continue. You can make events, give rewards, and do so much more to make a stable community. Also, it’s way more likely players can talk friends into playing on a server that is controlled by someone they know and trust instead of official servers that, on top of what some consider less-desirable populations, are prone to wipes. No one wants to keep starting over again and again. Even if a wipe is necessary, private owners are also better able to compensate players for those by altering settings temporarily. This compensation also works for game bugs that destroy things and drive players out. (I know I’ve done my share of comping for bug-lost things on my servers). Enough already. There really are times that it is necessary to wipe servers. We understand that some terrible exploit has ruined things for everyone else, or a game-breaking bug botched it all and official servers are no longer fair. (Of course, some of this could have been prevented if there were private servers; either there wouldn’t be a need to completely wipe everyone as owners could deal with offending parties on a smaller scale or lost progress could be better compensated.) I personally stopped playing this title because there were just too many wipes! I really got sick of starting over and over and over again every couple of months. It wasn’t fun. And without private servers and personalized settings, I had to slog through the beginning again and again and again until I just couldn’t take it any more. Too frequent wipes need to be wiped out. Part of the problem of this game is the lack of communication. The studio has acknowledged this silence, but we haven’t really seen much improvement. No one wants to get in and play a dead game that is going to disappear any moment now, and the lack of communication with players is leading them to believe that is exactly what is going to happen. (Too bad there wasn’t a way to play on your own computer, so that the purchase price would be worth it even if the game did disappear…). Communicate more. Daybreak owns a number of games, so use that to the advantage. Do exclusive content cross-promotions. I’ve known people to get a new game because they got exclusive loot in their game of choice, or because the loot in the new game represented their game of choice. For instance, if you buy the new EverQuest II expansion, you get a free EQII t-shirt or base decoration in Just Survive. And EQII players who buy Just Survive, or an expansion of it (hey, it’s not impossible!) get a zombie plushie or familiar. It’s just like putting an item in the Marketplace for money, but it gets people buying the game. And who knows, they might just like it if they try it! Just ask Mikey. Of course, just launching won’t fix things or make people necessarily want to come back. There needs to be something new. And what’s better in a survival game than new ways to die? Remember back when there were grand plans for a variety of zombies in game? That never really came to fruition, which in itself is a bummer. Variety really does keep things more interesting. Same old, same old day in and day out is no fun. So maybe all sorts of zombie variety ala Left for Dead isn’t feasible. OK. However, the game doesn’t really need just zombies, it needs more danger. The bears and wolves are cool and can be quite deadly, but a few more critters to run from would also be great. How about mutated ones? Deadly mutant chickens are destined to be a fan favorite! It would really up the game’s fun factor if we could tame zombies! I don’t mean as servants, fetching or doing chores for you. I don’t even necessarily mean pets (although yes, I’d love some personalized attack zombies to guard my door!). How about something like Michonne in The Walking Dead? You can have personal zombie bodyguards to help keep other zombies at arms’ length. Or maybe you can have a pack to sick on that one neighbor who keeps raiding your base. If we don’t want zombie pals, how about the wolves or bears? Those wolves are killers man, and probably would love a good belly rub. I’d even happily tame a cute little bunny. Or that mutant chicken from earlier. Launch! No one can stand games that live out eternity in early access. It has been three and a half years, so launch already. Make a realistic roadmap (hey, this also counts for more communication to players when you share it!) and stick to it. Follow Conan Exiles’ example: Do some serious stabilization work and get that title out the door. Players appreciate this. Just don’t use launching as an excuse to stop content coming; you’ve got some funds thanks to the battle royale child H1Z1, so use them to also take care of its parent. Just Survive has a good price for a survival game; $19.99 is a great deal, especially if players can have private servers and their own offline games. But there are folks who won’t touch early access — and for good reason. Take that reason to skip the game out of the equation. A small price hike at launch would even likely work, as long as the studio doesn’t go too extreme and hit $50+. 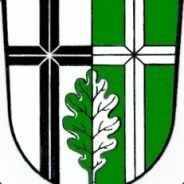 Would I pay $30-40 for a fun survival that I can play with friends? Already have, on numerous occasions, and I would again. The title would need to be offering these other features , however. I sure won’t do it for official servers only. You could ask the same points when Landmark was around, and it would be literally the same answers. 1. Daybreak uses the Forgelight engine as an excuse not to make the game(s) public, or used to. It doesn’t benefit the company at all, so they won’t do it. 2. Because of 1, nope. 3. They have to. Forgelight engine, again. Just the structures and objects players are making in the game are pushing servers beyond their capacity. GLOBAL LIMIT REACHED and the server becomes suspended until it restarts. They’re removing that limit for the mid-June update, but won’t say why. Like Landmark, they’re now making bases stay far apart from each other, animal and zombies are very scarce and with stupid AI. It will be very amusing if they don’t wipe anymore. 4. This is done on purpose, along with zero marketing and never lowering the $20 price to buy it. It causes attrition to the playerbase which is the point. 5. If the intent is to shut a game down, promotion and marketing does the opposite. That only draws attention to a poorly performing game. When Daybreak shuts a game down, it wants it completely GONE. 6. Hoping for new content or game changes directly contrasts Daybreak’s actions in laying off most of its JS team. 8. Launching JS in this state will only confirm its death sentence. It was done to Landmark as a means to wind down development and shut it down. 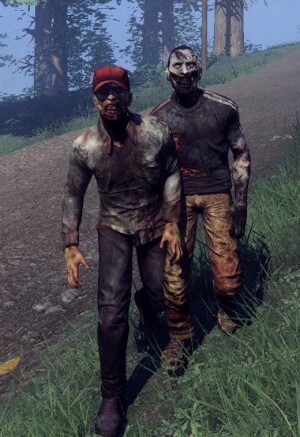 It was done to H1Z1 to bait-and-switch scam new buyers right before the game was made F2P. Third time’s the charm? Don’t bet on it. I doubt that private servers are possible with their inhouse engine. You forgot the most important part. This game was supposed to be a zombie survival game. The number of zombies are low and survival is a joke compared to other games. They would finally have to work on those 2 things to make the game interesting again. If the engine does prevent private servers, I’m not sure I see much of a way forward. They would need something fairly unique and interesting to get me on a public server for any length of time and as things stand now, this game does not have that.